Did you or your littles dress up and go out trick or treating? I'd love to hear about it! I stayed home this year and spent some time with Jas. So I decided to post last year's Halloween manicure, since I didn't post it last year. 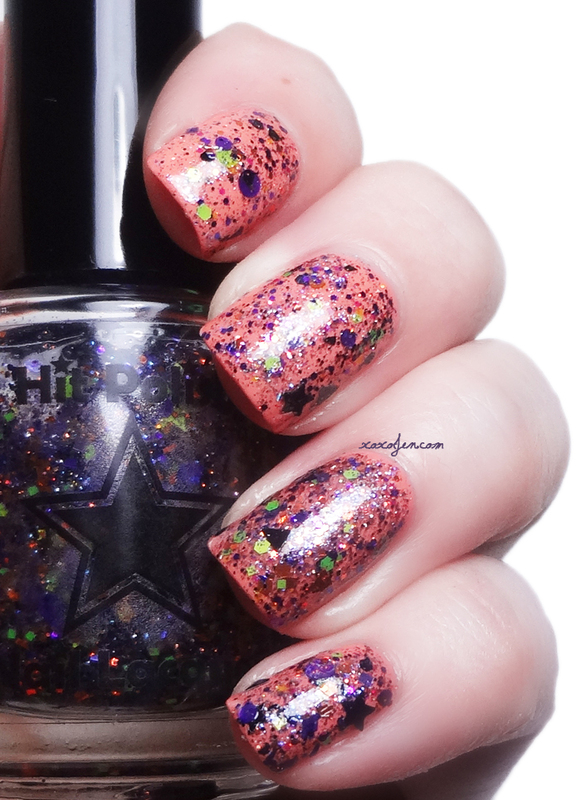 I purchased This is Halloween from Hit polish. It's a glitter topper that features several of my favorite colors - purple, green, black and orange - in a variety of sizes and shapes. I wore it over East Austin from Color Club. This polish is no longer available but you can find other glitter toppers at Hit Polish's Etsy store plus she is running a clearance sale right now! I hope you all stay(ed) safe and had a great holiday! 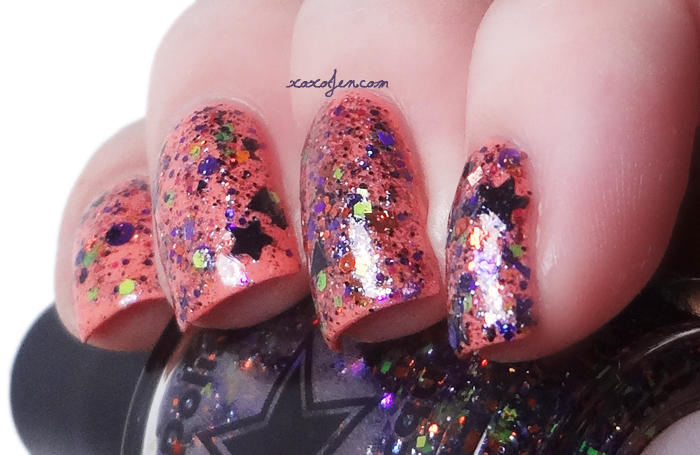 What a fun glitter topper that is.